This week, I had the great fortune of hearing CNVEP’s executive director, Ruth Beaglehole speak at a private residence in Venice. Since the organization is located in the Echo Park area of Los Angeles, this was a rare chance to see her on the Westside. The topic was Anger. She mentioned anger is under the umbrella of four emotions – grief, hurt, sadness, and despair. When we say we are angry, we are really feeling one of those emotions and everyone clearly deals with anger in different ways – sarcasm, avoidance, lashing out, cussing, etc. What is the best way to release anger? Through crying, by seeing the little girl or boy you were and supporting yourself now. How can we help our children when they get angry? By empathizing with them. For example, if they do not want to leave the playground, say, “You are having so much fun in the playground. You love playing in the playground. We will come back. It is time to leave now.” Give them a 5 minute warning beforehand and support them in their tears. Thank you, Clara for hosting the event! This morning we had no plans. 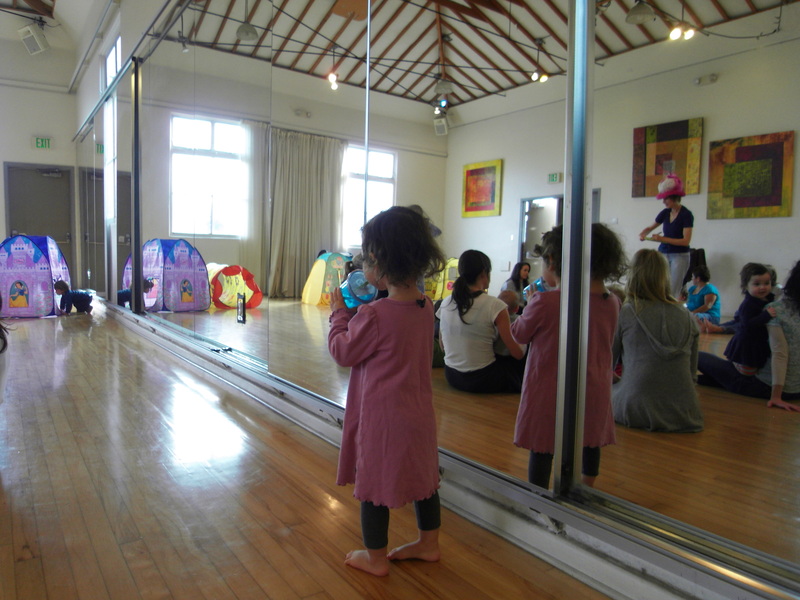 I had always been interested in this music class in Venice, CA called Moo Moo Musica since I have heard from friends how fabulous it is. The first class is considered a trial class so it is free – which is something I love. It sure beats spending money on a class you might leave after a few minutes. We did leave after a few minutes though Mishy was incredibly curious and wanted to stay in the lounge and then just outside the door. She listened in and sang to some of the songs, but after half an hour, we went back to the car. From what I saw, it was a fabulous class. Mishy found it noisy. She told me she prefers art and yoga classes. 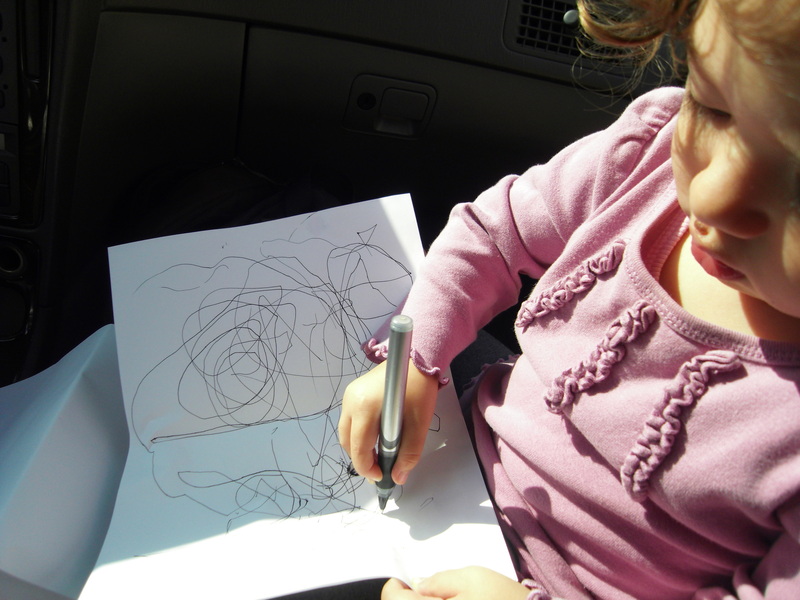 Afterwards, she stayed in the car for 45 minutes while she drew. Then we headed to the beach near Ocean Park in Santa Monica where there are swings. She loves swings. 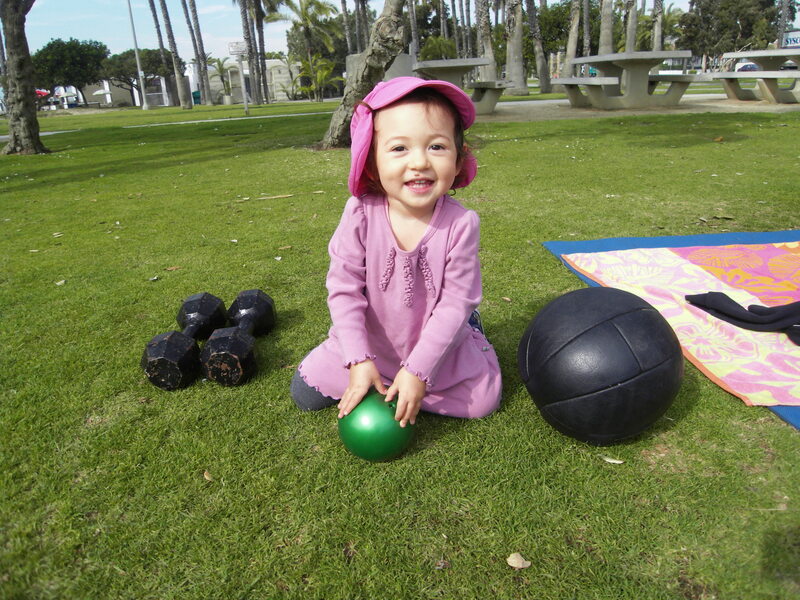 On the way back from being pushed, “Higher Higher!” she came across some strength training equipment and helped roll the ball to a trainer and his client. After his client left, Ruben, the trainer gave Mishy a few fun lessons. 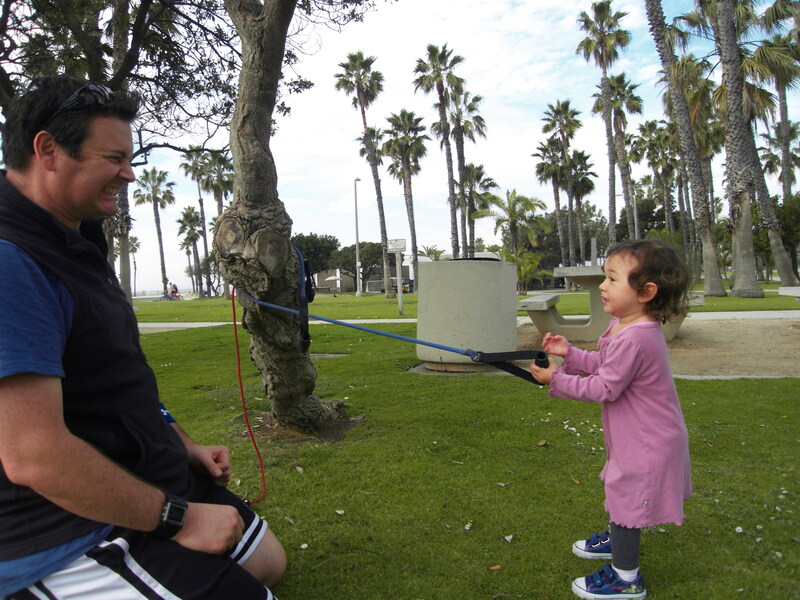 Ruben trains people on the beach near Ocean Park and also at Equinox. You can reach him at: Ruben 323-640-7824, roooby66@yahoo.com, facebook.com/bigroooby, or Equinox Gym, 201 Santa Monica Blvd, Santa Monica, CA 90401. His trains adults, not children.